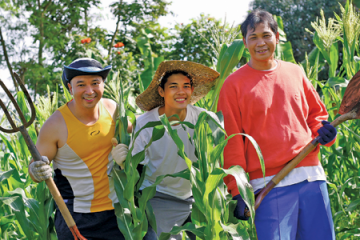 Is a gross income of a million pesos per hectare per year achievable with farming? For the Philippine Rice Institute (PhilRice), there is no doubt that this is attainable. The institution now leads a campaign advocacy which it has dubbed “Gusto Namin, Milyonaryo Kayo” (We Want You to be Millionaires). The campaign is behavior driven rather than being mere technology transfer, says PhilRice Executive Director Dr. Eufemio T. Rasco. It is an action/research campaign that aims to assess the preparedness of farmers and to provide them with strategies that will guide them through the stages of behavioral change toward rural transformation. The campaign focuses on four key initiatives. 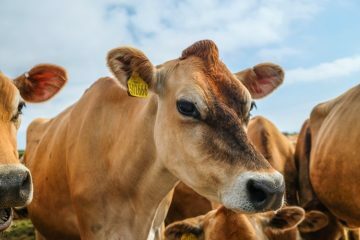 These are to increase farmers’ knowledge about alternative sources of income on their farms (diversified farming); give them the knowledge of what agricultural products are in demand at the market (timing and marketing); adoption of technology; and processing of farm products. “Gusto Namin, Milyonaryo Kayo” aims to transform farmers’ perceptions of, attitudes towards, and practices in agriculture so that it can be seen as a lucrative enterprise instead of as a losing proposition. PhilRice is confident that the million-peso gross income per hectare per year is achievable, considering that many have already succeeded. “The long list of the annual GawadSaka winners attests to that fact,” says Dr. Rasco. To emphasize that the advocacy’s goal is achievable, Dr.Rasco cited the actual experiences of two outstanding farmers who have attained that level of success. The first is Rey F. Quisumbing, from Kumalarang, Zamboanga Del Sur, who has been a farmer for more than 30 years. Quisumbing owns some four hectares, and how he diversified his farming is an interesting study. He grows rice in only half a hectare of his area to provide a supply for his laborers and for serving at the family-owned restaurant. Along the dikes of two 4,000 square meter tilapia grow-out ponds, he planted some 100 coconut trees at an 8 x 8 meter distance. The coconut trees provide him with an income of at least Php360,000 per year. He drenches the coconut trees monthly with a mixture of three kilograms (kg) of Triple 14, two kg 0-0-60, and 10 kg of salt dissolved in 200 liters of water to increase their growth and nut yield. Quisumbing also grows fruit trees such as mangoes, rambutan, durian, mangosteen, and Longkong lanzones, and these provide him with an additional source of income. His grow-out tilapia provide him with an income of some R170,000 or more a year. 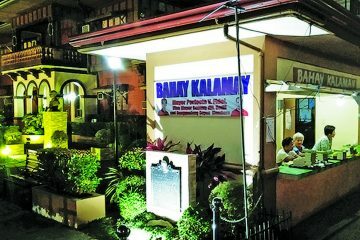 Quisumbing’s restaurant is named “Kan-anansa Balsa,” which means ‘a floating restaurant’. “What you eat in my restaurant is all produced from the farm. We are the only producer of sweet coconut and soft-shell crab in the Philippines. Aside from that, we also serve crabs, tilapia, and bangus. On the average, our daily gross sales from the restaurant is about Php4,000 or a yearly gross sales of Php960,000,” he says. “If you want to earn money from farming, dream big and plan ahead. Farming is a business. If you have more losses than profit, diversify your crops. Know what is in demand. Be proactive and don’t just wait for miracles to happen, make them happen,” Quisumbing testified during the Lakbay Palay event at PhilRice last April. Jomar Jarvina, 37, is a farmer and politician from Cabatuan, Isabela who won the National Gawad Saka Search for Outstanding Farmer, Integrated Rice Based Farming System in 2013 after harvesting a two season average of 16 metric tons or some 320 cavans of unmilled hybrid rice per hectare in 2012. 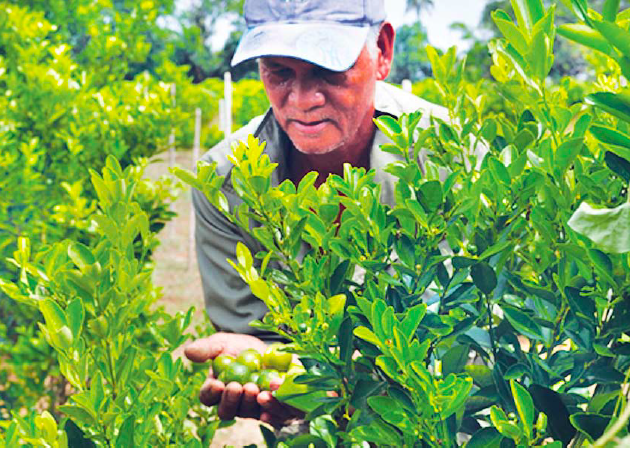 From two hectares in 1997, Jomar now manages some 20 hectares of a diversified farm. Aside from being a rice farmer, Jarvina is also into aquaponics and hydroponics. Aquapononics is a system in which the waste produced by snails, fish, and other aquatic animals in a pond supply the nutrients in a hydroponics system. Hydroponics is a method of growing plants in sand, gravel, or liquid (sans soil) using the available nutrients. The system of recycling water from hydroponics to aquaponics provides him with a novel alternative income source. Jarvina also does vermicomposting and livestock manure composting; he sells these for R300 per bag, and these provide him with another source of additional income. He applies some 20 bags of these self-produced organic fertilizers in every hectare of his rice fields and vegetable plots. 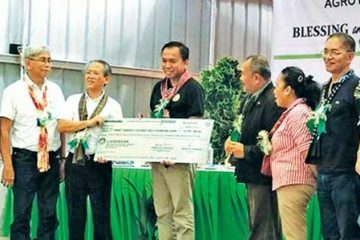 He believes that young people should not take agriculture for granted “…because this is the foundation of life,” Jarvina declared in his address to students attending the PhilRice Lakbay Palay event, adding that they should begin thinking of it as a viable career. Of the two success stories, several things stand out that they have in common. 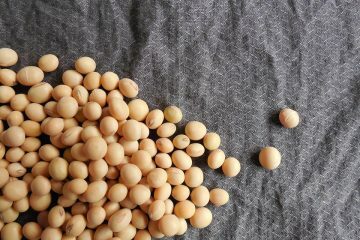 First is the use of diversified farming; second, both farmers have carefully marketed their products and timed their placement on the market carefully; third, both farmers have adopted the relevant cutting-edge technologies; and finally, they have added value through the processing of agricultural products. All these embody the essence of the advocacy of the “Gusto Namin, Milyonaryo Kayo” campaign.